Wash and soak green moong dal at over night. Next morning cook the dal, in a pressure cooker. Put the cubed cucumber in another vessel. Add half cup water(or more) and turmeric let it boil. Fry until you get nice aroma. Once the mixture is cool grind it to smooth paste along with coconut and turmeric. Once the cucumber is half boiled add tomato, salt. 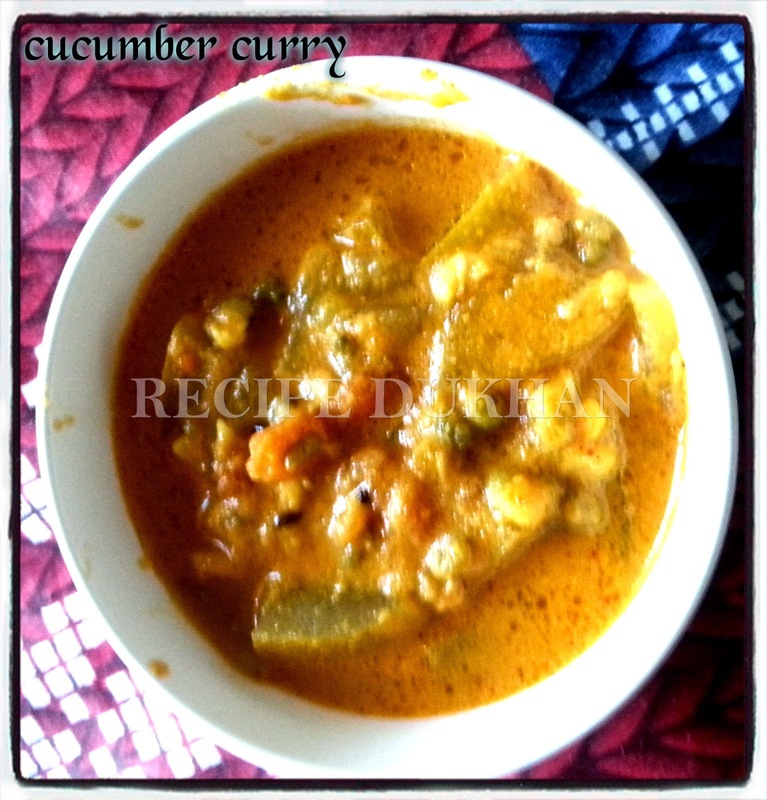 Once the cucumber is cooked add boiled dal,jagerry mix it well. Now add grinded mixture in to the cooked cube and adjust the water and mix well. Cook on medium flame for about 5-10 minutes. Not add too much water for curry. Finally add the seasoning and serve hot with rice or dosa. If you do not like the moong dal you can skip it. If you use pressure cooker,cook for 1 whistle. In this curry i skipped tamarind because i used tomato instead of tamarind.